… Come see for yourself!!! We now offer a NEW Cauliflower Pizza Crust. Only available in 10" single size. To Order Online for Pickup or Delivery, Please Click the Button below. Now Serving Gluten Free Pasta & Pizza! 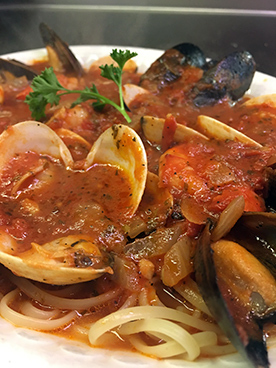 Rocco's Italian Restaurant is a family-owned and operated restaurant delighting families in McLean with fine Italian cuisine for over 30 years. So whether you are a visiting for the first time or the first time this week, be prepared for an Italian Classic. We are a family style restaurant and specialize in our homemade sauces made fresh daily from Mrs. J’s secret recipes! We are Northern Virginia’s favorite Italian family restaurant, serving residents in Fairfax, Falls Church, Alexandria, Centreville, Tyson’s Corner, Fairfax, Chantilly, McLean, Oakton, and Springfield, Virginia. Let us cater your next event at your Home or Office. 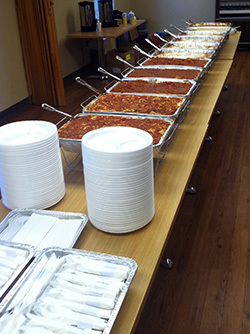 We prepare and deliver great Italian food for small or large gatherings. 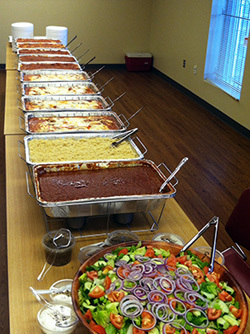 So whether it's a wedding, rehearsal dinner, company party, office party, office luncheon, retirement party, etc., impress your guests with a catered meal from Rocco's. Our signature dishes include New York and Chicago style pizzas, spaghetti with meatballs, lasagna, eggplant parmigiana, chicken parmigiana, many more dishes. To view our catering menu, click here. In Italy just to the northeast of Rome lies the beautiful Abruzzi region where it is said that St. Rocco watches over the country named for him. Here generations of Italian families have lived, worked and enjoyed delicious foods made in a style of cooking special to the region. Inspired by the authentic recipes of their parents and grandparents, the Juliano family has been delighting family and friends with a little touch of Italy in McLean. Rocco’s was established in 1977 by the late John Rocco Juliano along with his father, John Joseph Juliano and his mother Mary Juliano or Mrs. J. who developed the recipes for Rocco’s famous sauces. Today Rocco’s continues to be owned and operated by the Juliano family. They are now in their third generation. Operating with the same chefs that Mary Juliano trained herself, Rocco’s takes great pride in the painstaking process of preparing Mrs. J’s famous sauces and pizza dough every morning. So whether you are a frequent customer or you are visiting Rocco's for the very first time, be prepared for an Italian Classic. The spirit of St. Rocco that inspired delicious Italian cooking is here at Rocco's. Rocco's would like to thank all of our special guests for giving us the opportunity and pleasure of serving you. Try any of Rocco's famous pizzas, create your own pizza or try one of our special pies. *All served with your choice of sauce on the side. 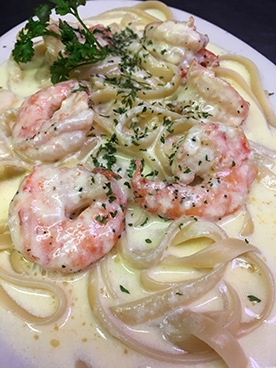 Rocco’s Italian Restaurant serves pizza and other Italian dishes to meet your taste buds. 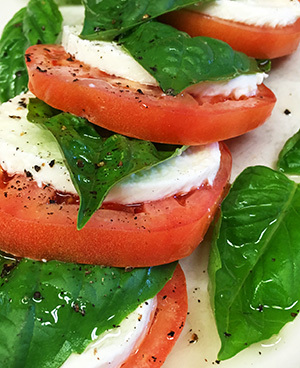 We are located at 1357 Chain Bridge Rd, Mc Lean, VA and offer fine Italian cuisine for lunch, and dinner. Try our restaurant’s great food dishes for rehearsal dinners, catered events, private parties, office parties, etc. We are located in Fairfax County near Fairfax, Falls Church, Arlington, Alexandria, Centreville, Tyson’s Corner, Fairfax, Chantilly, Oakton, and Springfield, Virginia.